Thank you for considering making a bequest to the Australian Greens. With your financial support we can achieve the change necessary to put a smile on the faces of those to come after us. After you have carefully considered family and friends in your Will, a bequest to the Australian Greens will help us continue to influence the political system in Australia and around the world, with the aim of creating an environmentally and socially sustainable future. While some bequests are small and others large, all are vital to providing us a funding base necessary to achieve our aims for the benefit of future generations. Making your Will is usually quite simple and inexpensive. It must be in writing and signed before two witnesses who also must sign as witnesses. You can make a Will yourself but you may find it safer to have a professional prepare it with you. 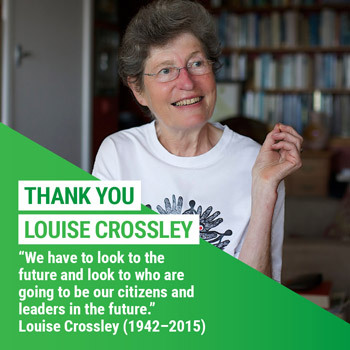 If you decide to include the Australian Greens in your Will, please let us know so that we can thank you personally and make sure you are kept updated on our achievements. References to bequests to the Australian Greens in your Will should include our full name: Australian Greens (The Greens) Incorporated and include our ABN: 98 738 022 715.